Quality in affordable price range! This is one attribute that every prospective buyer of Used Pontiac Engines looks for. But there are a few of the dealers that are known for providing this ultimate combination in used auto parts and engines. Among all Sharper Edge Engines is known for serving their clients with quality oriented products. Moreover we have a good clientele of remanufactured Pontiac engines. So if you are looking for options in affordable fashion in used Pontiac engines then you should visit our inventory in first place. When it comes to buying used engines then people usually do not trust dealers and the market of used automobiles. Even you may have second thoughts of buying used Pontiac engine in terms of its performance, mileage, authenticity and value to money. Our team of professionals understands these ambiguities that you are facing this is the reason we provide complete orientation on our inventory to our customers so that they buy desirable product as per their requirement and assessment. Unlike other dealers we never use any gimmick to attract the client and push them to buy something that they do not want to. So if you are looking for authenticity and ethical business transaction in used engines market then you should visit Sharper Edge Engines today. Once again General Motors established a performance division in automobile industry by introducing the Pontiac automobiles in year 1926. As soon as Pontiac was introduced in the market then in no time it overtakes the popularity of its parent company and eventually surpasses the Oakland brand in year 1933. Under the name of General Motors Pontiac automobiles are sold in countries like United States, Mexico and Canada. 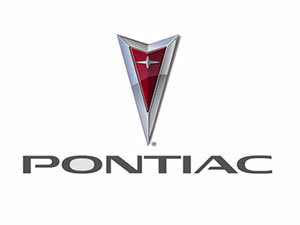 The Pontiac automobiles created a marquee by manufacturing the mainstream performance vehicles. As compare to other countries it is quite popular in Canada as it is been marketed as one of the low priced vehicle. Unfortunately in year 2009 the future of Pontiac automobiles has took an unexpected turn when its parent company General Motors decided to shut down this brand due to some financial crisis. The last lot of Pontiacs were manufactured in year 2009 and they are marketed till October 2010. In complete life span of Pontiac automobiles the year 1926 to 1942 was considered as one quite achieving span of time for Pontiac as within a few months on introduction of Pontiac it outsell the Oakland that ultimately leads to the shutdown of Oakland in year 1932. But still you can easily find the used Pontiac engine for sale without any hassle but in order to receive the best always prefer a registered dealer like us. The designated engineer of Pontiac engines Clayton Leach has designed a rocker arm with stamped steel valvetrain that was basically a replacement of that rocker design that has bearings. Subsequently this design was adopted by every OHV engine manufacturer of the industry. At our store you can easily find V8 remanufactured Pontiac engine moreover we have all the variants of this engine that are available in excellent condition and at reasonable price range. 1. 1956 V8 with racing camshaft and carburettors with dual 4 barrel technology. 2. Second generation V8 engines (256L and 455L). These two are the two most desirable rebuilt Pontiac engines of our store so if you are searching for more options in Pontiac engines then call us today.